Some national parks attract millions of visitors annually. Others are more off the beaten track, leaving the ancient pueblos to the lucky few who wander in. The best way to leave the masses behind in a national park is simply to take a stroll with your family. Try these 10 great national park hikes for starters. Maybe it's the chance to spot black bear, elk or deer. Maybe it's the opportunity to get lost on more than 800 miles of hiking trails in a mountain range that spills over into Tennessee and North Carolina. 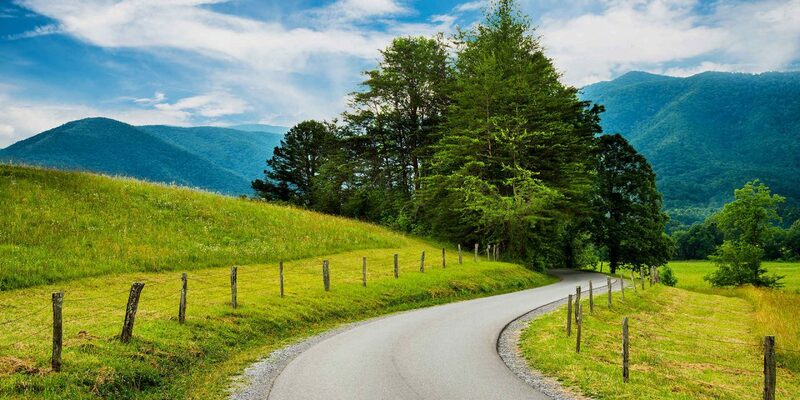 Or, maybe the number one reason Great Smoky Mountains National Park remains one of the most visited parks in America is that it feels like it's continually in bloom. There are more than 1,600 kinds of flowering plants in the park. Add flowering shrubs like mountain laurel, rhododendrons, flame azaleas and trees, such as sourwood, and you understand why this wildflower-laden park is the best natural greenhouse in America. A good place to stop and smell the flowers is the self-guided Cove Hardwood Nature Trail that begins at the Chimneys Picnic Area. The trail is fairly short and rarely crowded, which also makes it a great national park hike for families. 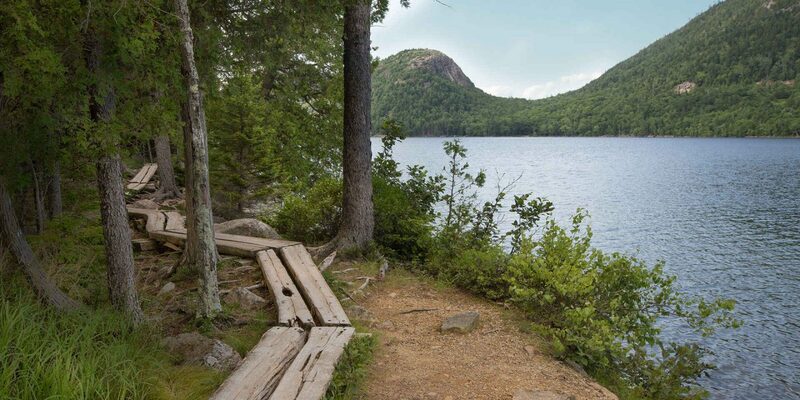 With the highest mountains on the Atlantic coast north of Brazil, slicing fjords, deserted offshore islands and 41 miles of rugged shoreline, it's easy to understand why Acadia is the sole national park in the northeast. Take the hour-long hike to the short peak of Acadia Mountain, and you'll be peering down at the lobster boats anchored in Southwest Harbor, captivated by the meeting of mountains and sea. 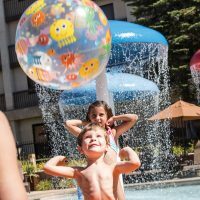 Unlike the iconic national parks of the West, with their lofty five-digit peaks, everything in Acadia is on a human scale, creating the ideal family-friendly retreat. After the hike, treat yourselves to strawberry lemonade and piping hot popovers, fresh out of the oven, at the Jordan Pond House. 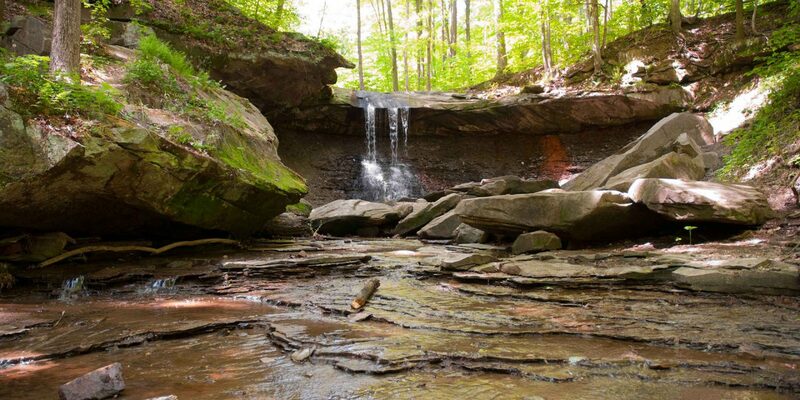 Nestled between Akron and Cleveland, along a 22-mile corridor of the Cuyahoga River, is one of America's newest national parks, Cuyahoga Valley. This pastoral chunk of land attracts horseback riders who ride on meadows in a former farmstead, bikers who pedal along the Ohio & Erie Canal Towpath and hikers who take advantage of the 125 miles of paths. The highlight of the park is the 1.5-mile Brandywine Gorge Trail that leads to one of the prettiest waterfalls in the Midwest, Brandywine Falls. At a height of only 60 feet, Brandywine is not a long drop. Instead, it's terraced like the tiers of a wedding cake, with frothy water tumbling down. The boardwalk brings you right up to the falls, surrounded by moss-covered stone and shaded by a stand of eastern hemlocks. Once you get your fill of Brandywine, visit the two other waterfalls in the park, Blue Hen and Buttermilk. Home to a mind-boggling 71 peaks, topping 12,000 feet, Rocky Mountain National Park has more than enough space to accommodate all those bighorn sheep, mountain goats, elk, moose and fuzzy marmots that call this parcel of paradise home. With more than 350 miles of trail, all you have to do is hike a mile in from the road and you'll escape the crowds. Try the Colorado River Trail, for its wonderful vistas of water, trees and mountains. Stop anywhere along the trail for a picnic. If you want to see wildlife, you can often find many of the big animals at a mineral lick near Sheep Lake at Horseshoe Park. 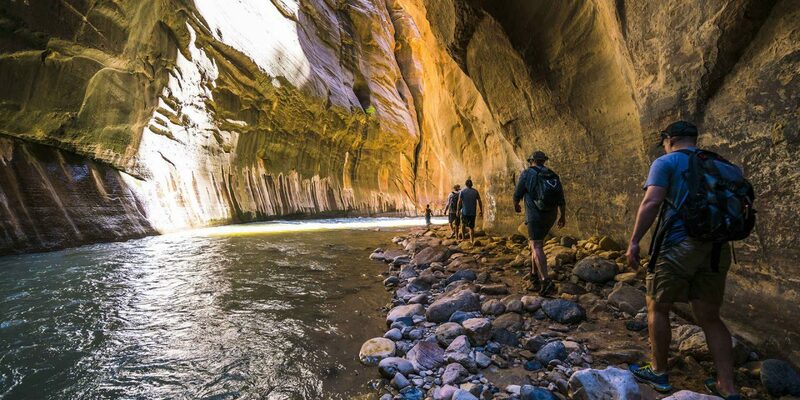 Zion's most impressive hike is in the Narrows, where you walk in the Virgin River through a 1,000-foot-deep chasm that's a mere 20 feet wide. Check with a ranger on water levels, but usually a minimum age of 8 is advisable. You'll need a wet suit and booties because of the cool water temperatures, but that's a small price to pay to have this monster slot to yourself. With each step, the walls become narrower and narrower, and you quickly become lost in this paradigm of sandstone. Sun peeks through the notch of blue sky above, illuminating the walls in various shades of caramel, rouge and tan. Water pours down sides of the curved walls to enhance the slick appeal. Amble through as much of the river as you want before turning back. On the Wyoming/Montana Border, Yellowstone is the country's first and arguably finest national park. 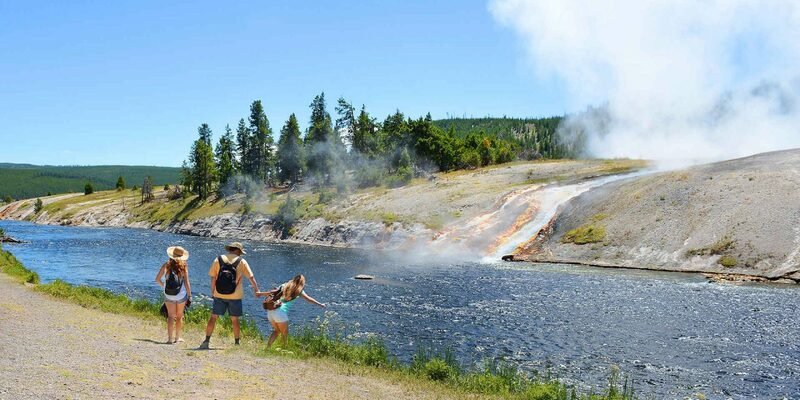 Visitors get to watch the towering geyser, Old Faithful, erupt, go eyeball-to-eyeball with buffalo, elk and moose, and view the stunning Upper and Lower Yellowstone Falls at the canyon. When you're ready for a peaceful walk in relative solitude, try the Beaver Ponds Loop Trail near Mammoth Hot Springs. The 5-mile trail heads up Clematis Gulch to the ponds, offering excellent vistas of this part of the park. Driving east of Flagstaff, the dry arid Arizona terrain gives way to colorful bands of rock, as if some Impressionist painter laid down his brushstroke on the badlands. Welcome to the glorious Painted Desert. Continue a wee bit south and prehistoric rock gives way to 200-million-year-old petrified wood, also colored in rainbow hues, as you enter Petrified Forest National Park. Once a playground for dinosaurs, Petrified Forest also was a settlement for a long line of Native Americans, as evidenced by the Agate House, an ancient pueblo built of petrified wood. By all means, get out of the car with camera in tow and take several of the short hikes. A 1-mile loop called Blue Mesa brings you to the multi-hued sandstone, while the half-mile Giant Logs Loop leads to the biggest trees in the park, some with trunks close to 10 feet in diameter. One look down at that massive hole in the earth that forms a mile-deep canyon, and you'll understand what all the hype is about. Fortunately, most visitors to Arizona's Grand Canyon take one peek at the South Rim and are on their merry way. Walk a quarter-mile from Hermit's Rest to the start of the Hermit Trail, and more than likely, the sweet smelling pinyon pine and juniper trees will be all yours. That will whet your appetite for the 1.5-mile South Kaibab Trail down to Cedar Ridge, rewarding you with exquisite views of the inner canyon. 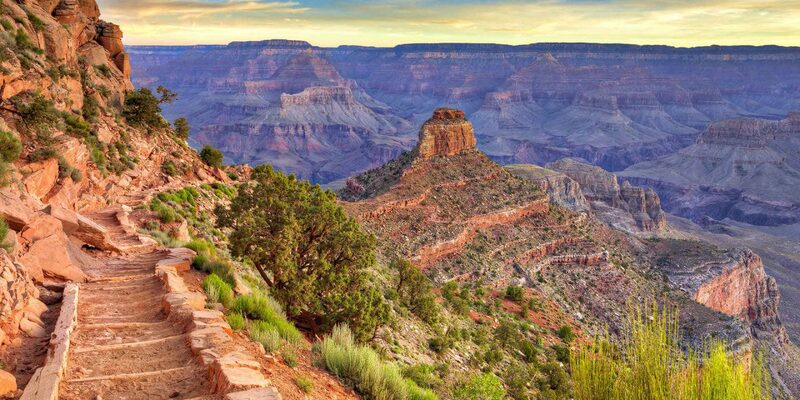 For something different, try the mule ride down the Bright Angel Trail. The animals might seem distracted, but you'll be happy to know that nobody's ever fallen into the canyon on a mule's misstep. 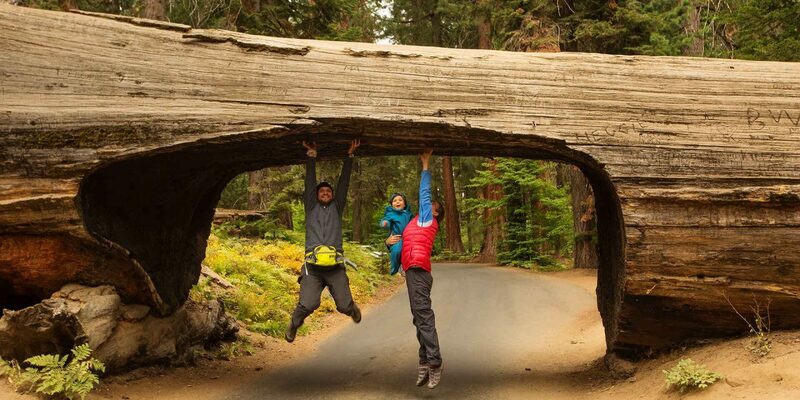 To truly feel small in the natural world, all you have to do is take the 2-mile trek to Yosemite's Mariposa Grove and stand next to the 200-foot sequoias. These immense trees and their shaggy orange bark are only a part of Yosemite's striking and varied landscape. All of Yosemite is a marvel to look at, from the sheer granite cliffs and domes, including the legendary El Cap, to the colorful wildflowers that fill Tuolumne Meadows. No wonder the great photographer, Ansel Adams, made Yosemite his most famous subject. 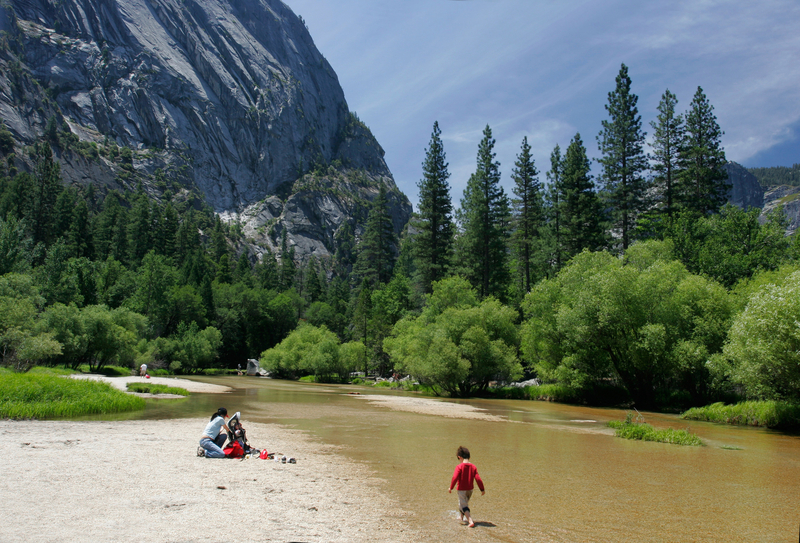 After the walk to Mariposa Grove, stroll onward to Wawona and its many swimming holes, perfect for a dip in the summer months. Washington's Olympic National Park is often referred to as three parks in one, known for its combination of rugged Pacific Ocean coastline, high mountain glaciers and lush rainforest. August and September are the driest months at Olympic, thus offering the best views without clouds and fog rolling in. For a good overview, take the 1.5-mile uphill hike to Hurricane Point. On a clear day, you get amazing 360-degree views of the Pacific Ocean, Vancouver Island and Mt. Olympus (the tallest peak in the Olympic range). Another good day hike is along Kaloloch Beach. Craggy outcroppings called sea stacks stand offshore while tidal pools are filled with starfish and hermit crabs.